Physiotherapists Most Asked Questions | Book an appointment today! What are the Main Questions that Physiotherapists at Open Health Clinic are asked? At the Open Health Clinic, we provide specialist care for any MSK (musculoskeletal) injury. Our specialist team of highly experienced and qualified MSK practitioners at the Open Health Clinic are always keen to help out and provide you with best, fastest Physiotherapy treatment as possible. Over the years our reputation has continuously improved and we have built strong, safe and trusted relationships with our clients. 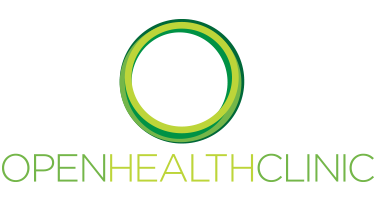 At the Open Health Clinic, we have gained the trust and partnership with large organisations such as Aviva, Bupa, Vitality, Axa, Cigna and WPA. If you have never experienced Physiotherapy may be the best option for you to recover from your injury, it is a great idea to consider the Open Health Clinic. Take a look through our website and find what the best treatment is for you or alternatively call 01344625475 to speak to one of our friendly members of staff. We have also provided you with questions that Physiotherapists are most frequently asked and provided you with expert answers. Read more to find out! If you wish to find out more about Physiotherapy, then you should take a look at the overview by the NHS. To access the NHS overview of Physiotherapy, click here. Yes definitely! Countless studies have shown the effectiveness of Physiotherapy when treating MSK injuries, disorders, pain and diseases. By reading this, it is great to see you are researching and finding out what is the best option for you! We assure you if your problem is MSK, then Physiotherapy is for you. You should also watch this great short video by the Physiotherapy Association of British Columbia on the benefits of Physiotherapy. It should really help you to realise the positive impact that Physiotherapy can have on your life. Over time we have developed close working relationships with the region’s top surgeons. In this time we have attended their outpatient clinics and even observed surgery! This has resulted in our staff becoming more and more experienced. To view our partner surgeons, click here. If you are still unsure about Physiotherapy or feel your injury requires further attention then feel free to contact our highly experienced staff to discuss this on 01344625475. Many people avoid Physiotherapy because they are scared of the pain that it might cause. For the duration of the Physiotherapy you can rest, as for the most part, you shouldn’t experience any pain. The majority of people who have experienced Physiotherapy have said that the treatment does not hurt, however some may say that the treatment causes some initial discomfort. This all depends on the type of Physiotherapy that you experience and the problem that you have. As you progress in care, you will find that the discomfort eases away. Even if you do experience any kind of pain, the long term benefits will make it worth it. Physiotherapy can help alleviate chronic or acute pain after as many as three sessions. We advise you to not be put off by the risk of pain. If you have any more queries similar to this then call us on 01344625475. What treatments do you offer besides Physiotherapy? Osteopathy is much more than just treating bad backs. 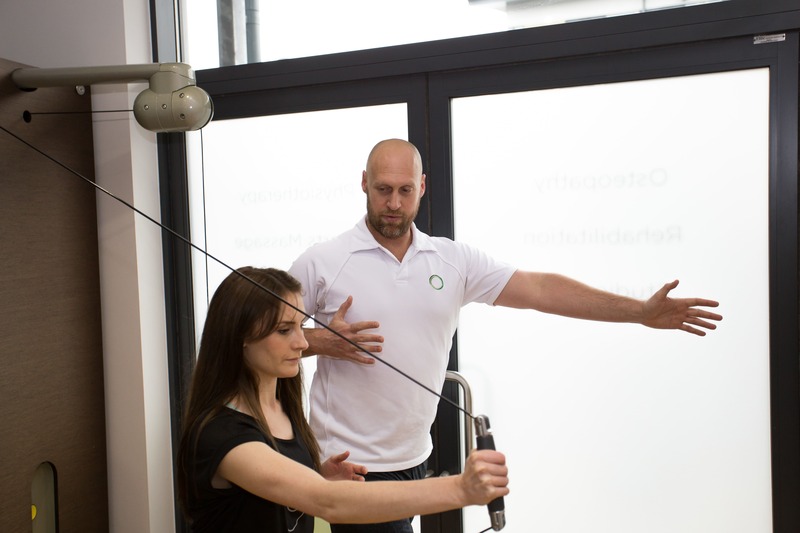 At the centre of Osteopathy is the belief that the body operates as a single unit in which structure governs function. Our treatment will help you to regain full balance in your body and improve the flexibility of the joints. To find out more information about Osteopathy and how it can benefit you, please click here. A sports massage is a deeper form of massage to address the soft tissues of the body. Good quality blood supply and eliminating waste products associated with energy production are key for our connective tissues’ wellbeing. As the title makes clear, Sports Massages are excellent for people who take part in a lot of sport. To read more information about Sports Massages, click here. Cranial Osteopathy, despite its name, does not always primarily focus on the treatment of the head of the skull. Cranial Osteopathy treatments take place on the entire body and you will often find your practitioner working on your lower back and limbs. To find out if Cranial Osteopathy is for you or for more information, click here. Rehabilitation and Pilates is the best way to bring people back to full health following an injury and physiotherapy treatment. At our rehab studio, we have Technogym Kinesis four module core-centred dynamic mobile equipment fitted. This equipment helps to get your body used to sudden movement and get you back to full fitness. Our pilates is floor based and utilises core principles to support you to boost your injury recovery and help prevent recurrence. RTo find out more, click here. The treatment of Acupuncture is a process where needles are inserted in to the skin at various points to help calm the body’s neural and hormonal pathways. It’s very effective for pain relief and for systemic conditions such as IBS. To find out more about Acupuncture at the Open Health Clinic, click here. Where can I get Physiotherapy? Right here at the Open Health Clinic! Our friendly and experience team are happy to help you with whatever problem you may be encountering and can give you expert advice on the right treatment options for you. If you wish to find out what the right treatment for you is, then take a look around our website or by calling a member of our lovely team on 01344625475. There is also an online appoint request option, this can be accessed by simply clicking here.